Kindergarten is a gentle bridge between the home life and school life. The kindergarten child is at one with the world – his senses are completely open. He lives in a state of imitation. At this time in life, the young child is learning how to act, who to be, and what to do by absorbing everything around them through all of their senses. What they see they will try to do, what they hear they will repeat, what they taste, touch, and smell will become part of their very person. They will internalize stories heard and everything they experience will be a seed for the later years. This is precisely why great care is taken and attention to every detail given in order to surround the kindergarten child with the purest, home-like environment, developmentally appropriate activities, and adults who are the most worthy of imitation. Kindergarten is the time to build strong foundational skills and a sense of belonging. We feel it’s important to create a natural rhythm to the day and the week. Our days are comprised of in breaths and out-breaths. We value real work and process over product in our activities with the children. 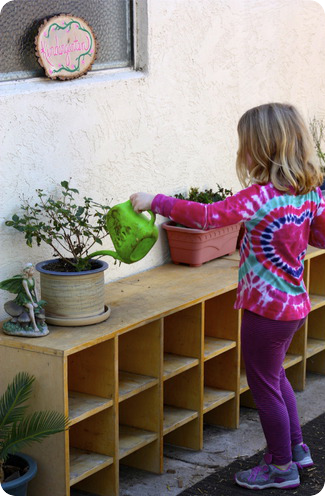 Tasks have a beginning, middle, and end, and children become competent in real life skills. It is important that the children feel a connection to what they see and the real world importance to what they do. Our kindergarten program focuses on the whole child through a play-based, integrated, and developmentally appropriate curriculum utilizing Waldorf methods. In our kindergarten program, learning occurs through play, which often imitates adult activity. 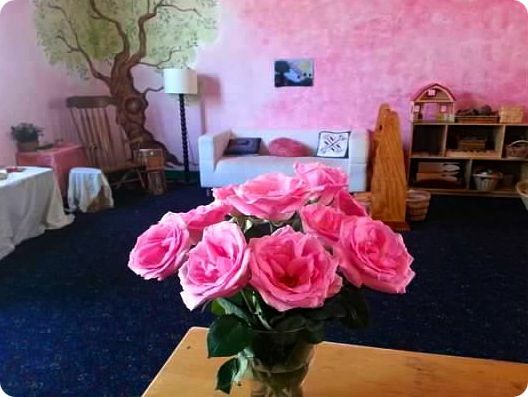 This philosophy stems from Rudolph Steiner’s theory that learning in these critical early years does not come from traditional instructional methods, but is centered around the unconscious imitation of the child’s environment and experiences absorbed through all of his or her senses. In everything, imagination is encouraged. The children have daily opportunities to create imaginative scenarios and imitate what they see. Through play, the child learns to develop imagination, innovation and practical life skills. Extended periods outside at recess, in gardening, exploring nature, and playing group games are integral to our kindergarten program. Journeying with the children through the seasons of the year through festivals and craft activities, we bring a sense of wonder and reverence for nature. A sense of belonging in nature is instilled through these activities, and the children experience many opportunities to run and climb outside, exercising their large motor skills. The classroom is filled with natural wood toys, silk play cloths and curtains, and cloth dolls. The arts and craft supplies are natural beeswax and plant pigment paints. We feel it’s important for children to be outside in the natural elements and spend time observing changes throughout the year. Through all of this connection with the natural world, the children develop a love and reverence for Mother Earth. Artistic work is integrated into our daily classroom routines. This gives students opportunities to develop their imaginative capacity and bring it to expression in an inspiring, challenging, and tangible way that also teaches a sense of self-discipline.During the week, children have regular opportunities to draw and watercolor using bright, clear colors. Simple natural crafts and handwork such as beeswax sculpting, finger knitting, and sewing develop concentration and small motor coordination. 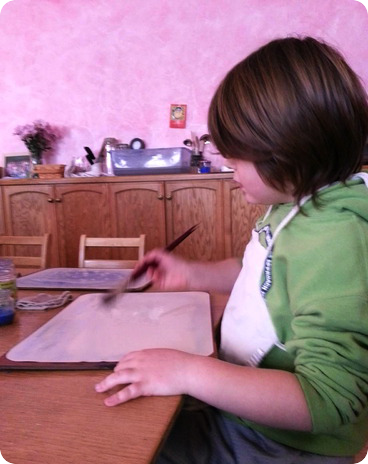 With weekly baking and cooking lessons, children learn healthy living while working on educational skills such as measurement, addition, fine motor skills through chopping vegetables and kneading bread, and enriching their senses. During Circle Time, they learn songs, rhymes, chants and movement games. Through these active songs and games they become aware of order, sequence, spatial awareness, rhythm, rhymes, addition and subtraction, phonetics, group collaboration, movement, memory skills and right-left orientation. In Story Time, they hear fairy tales, classic stories or cultural tales. They participate in puppet telling and dramatic play. They are introduced to rich vocabulary, complex characters and in-depth story lines. Through the stories they learn to develop beginning story writing concepts, connect with the characters and start to internalize the ideas of right and wrong. Science is learned through cooking, gardening and observing the natural world. Social Science is interwoven into all of the cultural stories. Many of the Common Core standards are learned easily and effortlessly through play, songs, hands-on activities and stories.